Moscow says it is prepared to help Tokyo, with Russia having vast experience in dealing with both natural and nuclear disasters. One of the planes with rescue workers on board has already left for Japan. 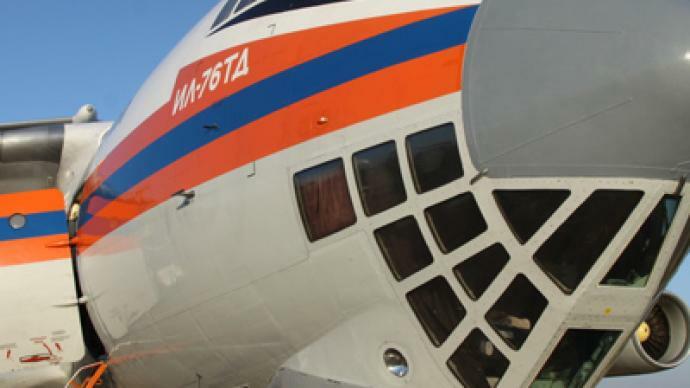 The Emergencies Ministry has prepared the necessary forces, including six planes, an airborne hospital. 200 rescuers, psychologists and doctors are ready to fly to Japan, the ministry said. Meanwhile, Russia is closely monitoring the radiation on its territory closest to Japan. 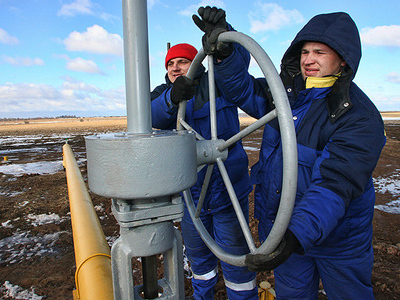 “We need to continue monitoring the situation in the Russian Far East as closely as possible. I have just spoken to the local authorities in the region. The situation there is normal, both from the point of view of people's housing and radioactivity. Nevertheless, the situation must be closely monitored on a round-the-clock basis,” said Prime Minister Vladimir Putin during his meeting with Deputy Prime Minister Igor Sechin on Saturday. 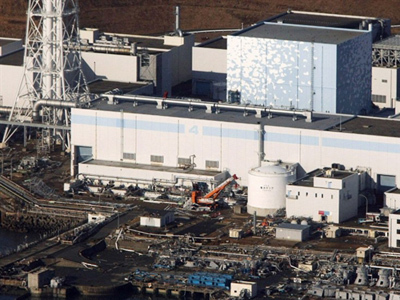 One of the main problems that has arisen out of the explosion at the Fukushima nuclear plant is that now Japan is in desperate need for extra energy sources. Vladimir Putin said that Russia is ready to supply up to 150,000 tonnes of liquefied natural gas to Japan and to increase the supply of coal. Also, an underwater cable may be used to provide Japan with electricity, if necessary. Clearly, power is now a crucial commodity for Japan, as it is needed for search-and-rescue works and for uninterrupted functioning of the hospitals. Russia, which has had experience in dealing with the outcomes of the nuclear catastrophe at the Chernobyl power plant, is also certainly ready to share this experience with its neighbor should Japan need any help in Fukushima. For instance, tens of thousands of people from the Soviet Union were used in the clearance operation in Chernobyl. 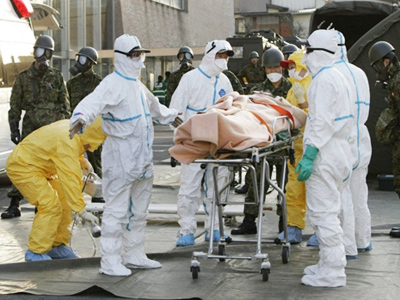 However, it is yet unclear whether any of those so-called “liquidators” would assist the Japanese rescuers at the Fukushima plant. Actually, Japan has already resorted to the experience gained by the Soviet Union in Chernobyl, when it almost immediately evacuated all people living in a 20-kilometer-radius around the plant. This did not happen 25 years ago in Chernobyl, when people from the nearby town of Pripyat had to wait for more than a day to be evacuated due to the negligence of the authorities. However, Japan has evidently learnt from that mistake and is attempting to minimize the danger to the health of its citizens. Meanwhile, Muscovites have been showing grief and sympathy for the people of Japan that have been caught up in the series of disasters by laying flowers at the Japanese embassy in the Russian capital. Russia, among 45 nations, is ready to provide humanitarian aid to devastated region. So far Japan has accepted humanitarian aid from six countries, including the United States, Great Britain, Germany, Australia, New Zealand and South Korea. On a request from Tokyo, a search-and-rescue team of 72 members and rescue dogs from the US is expected to land in Japan. The United Nations sent nine experts to Japan on Saturday. 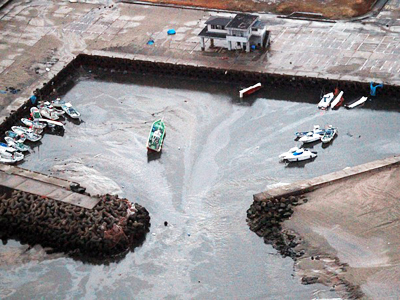 UN officials noted that two of the experts were specialists in environmental issues, as reports about the greatly-increased level of radiation due to an explosion at the Fukushima nuclear power plant emerged. The experts are part of the UN Disaster Assessment and Co-ordination system, a rapid response network set up to aid in the worst cases. Switzerland, with strong links to Japan, said it was asked by Tokyo to send search-and-rescue teams, and 25 Swiss specialists and nine trained dogs have been sent to the country to help. Red Cross and UN officials have stressed they have regional hubs in Asia from which aid can be deployed quickly.